Forget about Independence Day. Start thinking about Black Friday. If not, you could be missing out on your biggest opportunity of next season. The holiday season starts NOW for arts managers. Don’t let the heat of summer lull you into thinking holiday shows sell themselves—there’s a lot to do. It’s time to dust off and refresh your marketing plan for The Nutcracker, A Christmas Carol, your holiday concert, or whatever hot ticket event you have this December. In this free one-hour webinar you’ll hear from arts marketers like you who have maximized their holiday programming and gone on to break revenue records. Just when these arts administrators thought their perennial programming couldn’t garner any more, new highs were reached. These experts as well as the consultants from TRG will share the newest best practices for turning up the heat on the holidays. Categorizing arts patrons simply as ticket buyers, subscribers, or donors can hide the total value of the investments they make with an arts organization. Hubbard Street Dance Chicago tracked patterns of patron investment holistically, across those categories. What they found led them to cultivate audiences in a completely new ways. Chief Marketing and Development Officer Bill Melamed of Hubbard Street and ‎Amelia Northrup-Simpson of TRG Arts presented this session at the 2015 Do Good Data Conference, detailing how audiences are engaging differently with Hubbard Street nearly two years later. This is a story about the important role data plays in centering an organization around patron loyalty, and how Hubbard Street acted on that data. TRG President Jill Robinson and I recently hosted an online webinar entitled “Make Time to Make Money.” Our central thesis was the need for arts managers to stop trying to do everything and focus on those strategies that can truly move the institutional needle of success. Based on considerable feedback, one of my closing remarks apparently hit a nerve for many participants when I admonished the group to “Be Brave.” Because organizational and industry needs are so great (and feel more dire with each passing week), insignificant or incremental change simply will not get the job done. 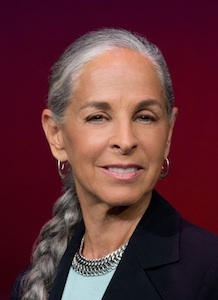 It was in that context that I received an invitation to attend a celebration honoring Sharon Gersten Luckman who is retiring as Executive Director of Alvin Ailey American Dance Theater. When reading the invitation, it hit me. Sharon is the perfect example of what I had in mind when describing bravery on the front lines of arts management. It’s summer—the time of year when an arts manager’s thoughts turn to poolside fun, family vacations and—of course—planning for A Christmas Carol, The Nutcracker, yuletide concerts and other holiday blockbuster events. Not on your calendar yet? Then you are missing a major opportunity. In partnership with TRG Arts, New York City Ballet found ways last summer to increase revenue from The Nutcracker in December 2011, and as a result it generated an additional $1.1 million. In this webinar, NYCB’s Director of Marketing Karen Girty joins TRG’s Keri Mesropov and Lindsay Homer to detail how they did it—and how you can get your organization on track for big holiday season success. and again during annual holiday blockbuster events like A Christmas Carol, The Nutcracker, and yuletide concerts. Blockbusters boost annual revenue from time to time, but holiday events consistently and reliably provide sustaining revenue for the rest of the year. Therefore, an organization’s annual holiday production—and the marketing campaign and box office operations surrounding it—is one of the most important things to get right. In TRG’s consulting experience, starting early is a key factor in a successful holiday (or any) blockbuster. For holiday shows, the time to start is NOW. 2008 Arts Industry Holiday Performance Report, results of a first-time tracking poll that surveyed arts and cultural organizations about their 2008 holiday performance and event revenues, produced with Patron Technology by TRG Arts, January 21, 2009. Los Angeles Market Segmentation Study, an arts and culture consumer profile prepared by TRG for the Los Angeles County Arts Commission, October 2008.